Maybe you’re introducing a new offering, pursuing a different segment of clients, launching a marketing tactic, or taking your first steps into independent consulting. Whatever marketing venture you’re undertaking, read on to enjoy faster, more powerful results. 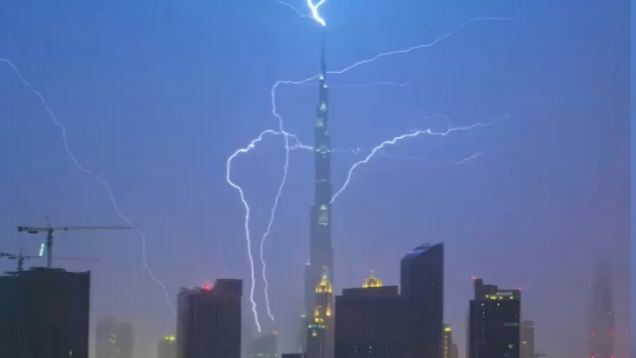 The extraordinary, 20-second video below eloquently reveals the magic of lightning tracing its torturous channel from clouds to ground. Micro-Test Your Way to Success – Lightning bolts scatter stepped leaders in many directions, briefly testing the viability of moving forward in different, sometimes surprising ways. Each leader risks small jumps into the unknown, and is left behind if it doesn’t prove useful. Follow that same pattern in your marketing: conduct a multitude of experiments; be bold in their variety and expedient in shutting them down. Willingly Abandon Most Trials – Stepped leaders with enormous potential dissipate into nothing if they don’t move enough electricity. The corollary to micro-testing is being willing to quickly drop ideas and approaches—even the ones you like—if other paths move you forward faster and more powerfully. Find A Path to Success, Not THE Path – Nature doesn’t seek the very best, bar none, route from the sky to the ground before unleashing its electrical fury. Whatever the closest available route is that works is flooded with juice. Don’t hold out for the perfect approach or award-winning execution. Find a way that works and go with it. After Choosing a Direction, Give it Everything – Did you see what happened once the stepped leader found a connection to the ground? Kablam! While the micro trials were tentative investments of energy, as soon as a circuit to the ground was in place, a zillion volts** flooded through the circuit. Bring that level of Focus and Commitment to your chosen tactics too. Keep Moving Forward – Lightning doesn’t give up. It backtracks, tries different routes and occasionally goes in more than one direction, but it keeps searching (quickly) until it finds a path that works. Persistence is the framework that supports your supercharged efforts. The World Will Help You Succeed – What you couldn’t see in that 20-second video is that at the last instant, streamers reached up from points on the ground to connect with the surge from the sky. An amazing thing happens when you pour your energy wholeheartedly into an endeavor: the world seems to meet you part way. Did this post spark any ideas? Below, share the lightning-like practices will you adopt to create an explosive jolt of energy in your business. Last year we micro-tested webinars. I’ve been presenting seminars, webinars, and workshops for years, but always in collaboration with some other company responsible for filling the room (virtual or otherwise). I put on some webinars & workshops myself last year and attendance was dismal. I get it, I can’t fill a room but one someone else does, attendees are wild about the content. So I’m doing more collaborative work again. I am more stubborn and less flexible than lightning. I wring the heck out of idea or technique before I am willing to abandon it. I thought this application of determination, perseverance, and focus were assets, but maybe this is slowing me down from greater levels of performance. Perhaps applying these qualities to the underlying goal but not the tactic would be more effective. Jaime, I think you’re heading in exactly the right direction. Perseverance and focus are critical qualities to be a successful independent consultant. Paradoxically, so is the ability to let go of an idea if it isn’t panning out. There’s another aspect to this lightning metaphor that I didn’t explain, but might help you. The stepped leader shoots out many branches at once then follows the best path. That’s a portfolio approach. Micro-testing webinars is a terrific idea as part of a portfolio of marketing ideas you’re micro-testing. You can be relentless and persistent in your marketing without being tied to any one idea.